New York & Company is a retailer of women’s accessories and apparel that specializes in modern, business, and business-casual attire. Their wear-to-work fashion is multifunctional and available at reasonable prices. Blouse manufacturers, Samuel A. Lerner and his brother Harold M. Lane, founded the company as Lerner Shops in 1918. The name changed in 1995 to New York & Company, and in 2006 the company launched its own e-commerce site. 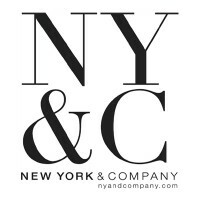 By its centennial anniversary, New York & Co. has expanded to over 500 stores, and has close to 6,000 staff and personnel. The company has also been endorsed by various celebrities such as Cindy Crawford, Jennifer Hudson, and Eva Mendes. Employees benefit staff training and development programs for career advancement. Also, they receive merchandise discounts, healthcare and life insurances, 401(k) retirement plans, employee assistance, and tuition reimbursement. The company always provides opportunities for career growth and long-term employment positions. It’s a fast-paced work setting, so the company provides paid training for employees and a flexible work schedule options. How old do you have to be to work at New York & Company? The store requires applicants to be 18 years and older to apply for an entry-level position. The applicants must also have a high school diploma or a GED equivalent to qualify. Job hopefuls will find various entry-level positions that require little or no formal experience for employment concerns. One can find these opportunities in different departments such as sales, finance, and e-commerce. Sales Associate: Sales associates greet customers and assist them on the sales floor. They assist clients with their concerns and responds to their questions about the product. Other than that, they must have superior knowledge of the company’s products and introduce promotions and opportunities to customers too. Cashier: Cashiers count the money before the shift starts and record them to get the total balance of the day. When customers check out, the cashiers scan the codes, receive payment, and issues receipts and change due to the client. They also help resolve customers’ complaints and give refunds when necessary (like in cases of defective/damaged merchandise). Clerk: Retail clerks do clerical tasks in the store, which include keeping records of sales and inventory, verifying billings from customers, emailing suppliers or manufacturers, and others. They validate customers’ bills with the product they checked out and reconcile any differences. Also, they manage the products on the shelves and maintain the sales floor with the manager. Customer Service Representative: They assist customers by answering product questions from customers via online. Representatives maintain customer accounts and update them when there are new store promos. They resolve product concerns by determining the cause and choose the best options to correct them. Other than that, they help generate sales leads and prepare product reports to the company. Key Holder: They open and close the store and welcome guests into the establishment. Key holders will also work with loss prevention security when investigating potential thefts inside the store. During their spare time, they do clerical works and other admin jobs as stipulated by the management. Payroll Auditor: Payroll auditors review new hires, positions, and payroll rates changes. They also update and check employee tax status and resolve income discrepancies. These employees process the payroll and help the head accountant in calculating the salary and benefits. They prepare checks, deposit requests, and tax reports of the company. Sales Lead: They generate sales by suggesting products that cater to the customers’ needs. Sales leads might introduce new product features to the customer to keep their interests alight. They contribute to the brand’s story and ensure customers to enlist in-store programs like coupons and gift cards. Assistant Manager: Assistant managers work with the supervisor to implement sales goals in all departments. They also execute in-store strategies to generate more customers and sales. They check different members of the team and ensure that everyone is doing their best to meet targets. Stock Associate: Stock associates make sure that the store has enough supplies and inventories on the shelves. Their responsibilities include unpacking and storing delivered merchandise, and stacking them on the display racks on the sales floor. They also help place price tags on each item and keep records of the merchandise. Loss Prevention Security: Loss prevention team move around the store to watch out for theft and fraud. They work with retail auditors and stock associates to ensure the safety of products and the number of items on the shelves. These employees work well with security officers and other law enforcement authorities to report crime. Job seekers must submit a complete list of documents such as a resume and diploma before submitting to the store. Wear a business casual attire when submitting your papers because you might get screened for an interview on-the-spot. Candidates might also apply online on the company’s website and other virtual job placement sites. The applicant just needs to create a free account on the company site and then browse the job openings in the Careers section of the website. When applying online, make sure you fill out all the important fields and write relevant content that caters to the employer’s needs. You can also upload your resume and other related documents that will improve your hiring experience. Format your resume so that it will be easy to read and also highlights your skills and experience. Your resume content must apply to the employer’s needs and according to the job description of the position. When you’re called for an interview, do a bit of research on the company and its history so you can answer the interview questions better. Try to stay calm and take your time to respond to the question. Be direct but keep things professional. The company is a high-end retail store that demands professionalism among team members. While the work happens in a fast-paced setting, there is an excellent communication between the management and employees. New York & Company reports a surge in sales and income showing strong opportunities. The significant growth of their E-commerce website paved way for an increase in merchandise margin and lesser costs. New York & Company is a retailer chain of women’s clothing and accessories that focus on multifunctional ready-to-work clothes. They also engage in fragrances, home, and tech accessories for the modern woman. The company supports organizations like St. Jude Children’s Research Hospital and the Breast Cancer Research Foundation. They raise funds to find cures for children and adults who’ve fallen ill from deadly diseases. 1 How old do you have to be to work at New York & Company?